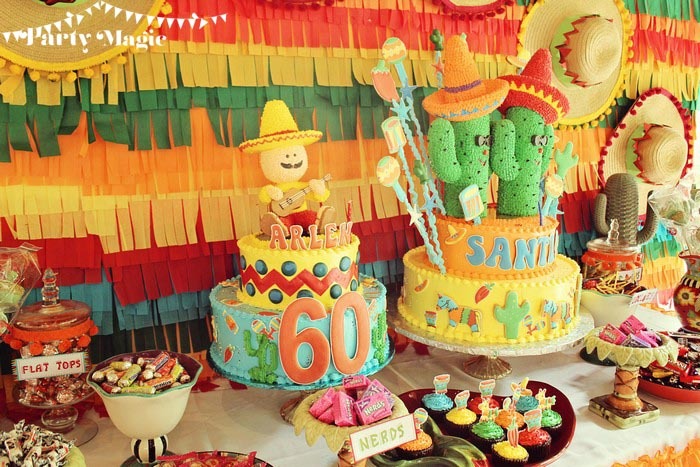 Coming off from a balloon decoration background, I have always been a secret fan of colorful and lively children’s parties. This is, in fact, what a party for kids should be: all about fun! This was for me, one of the best stage set-ups that Party Magic has executed, because it looks so “tight”, and well put together. It has enough character, elements, colors, depth, balance of design, and dimension. 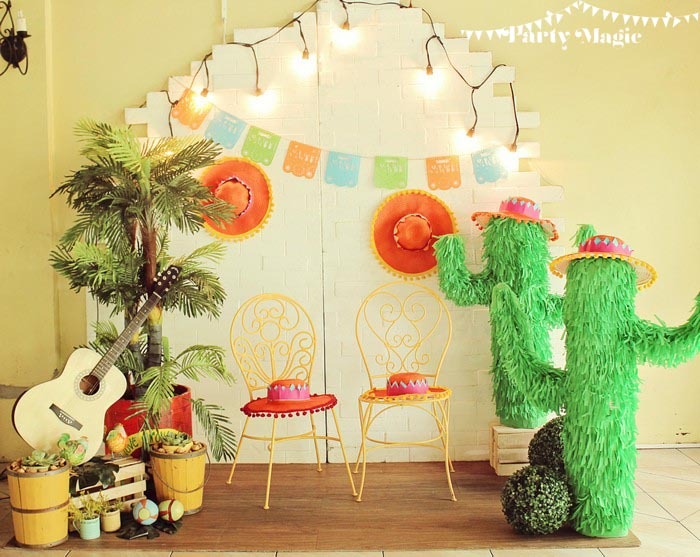 I especially love the paper medallions on top of the brick wall, the bright-red Mexican sombreros, and the pony pinata just waiting to be smashed and explode with candy goodness! 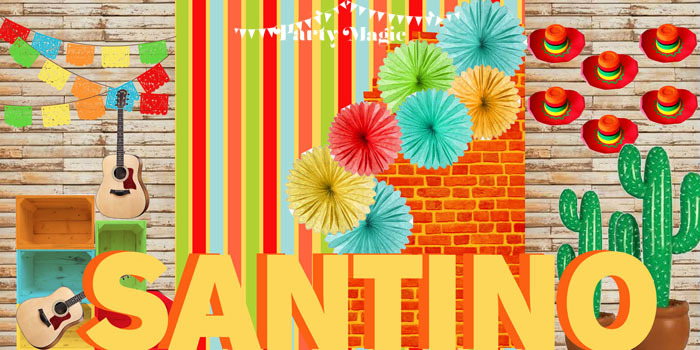 For the ceiling, the Party Magic team and I decided to do something different for a change. We handcrafted various colored papel picados and hung them in lines leading from the back to the stage area in the front. 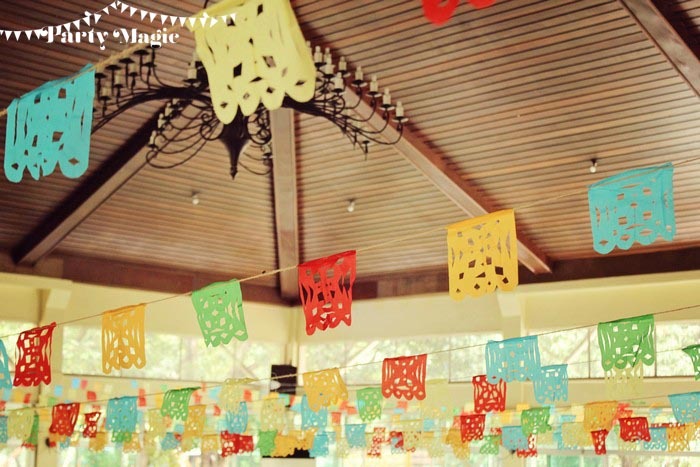 The papel picado is a traditional Mexican handcrafted decor used for various fiestas and celebrations. The picado is usually made out of tissue, but for durability purposes we decided to use crepe paper instead. The whole ceiling decor provided a very festive and lively mood to the venue. 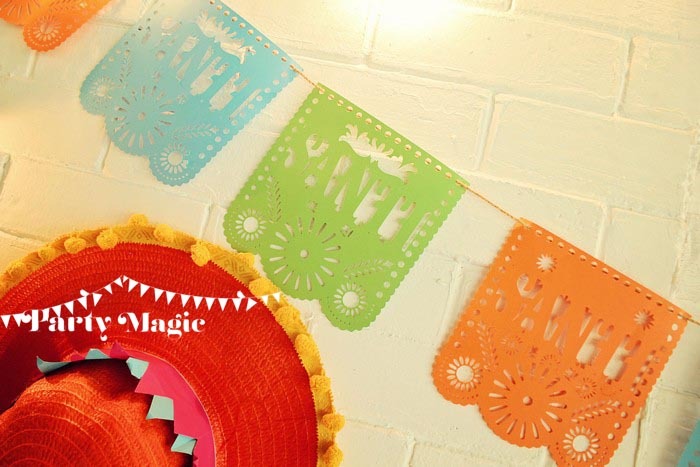 For the photo-op area, we used a very special pattern for the papel picado. 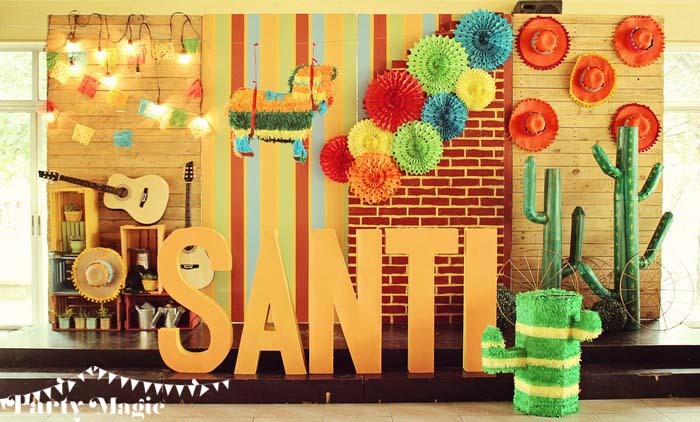 The perforated pattern inside the picado spelled the name “SANTI”. Again, it’s the little details like this that count! 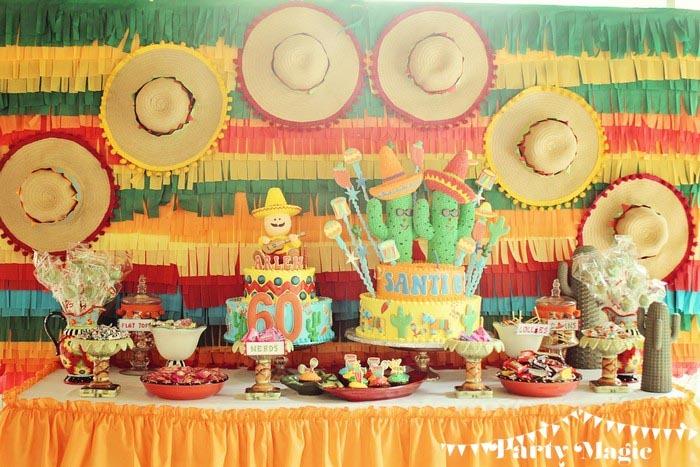 Here’s another personal favorite of mine: the sombrero-wearing donkey in the centerpiece! Isn’t that just CUTE? 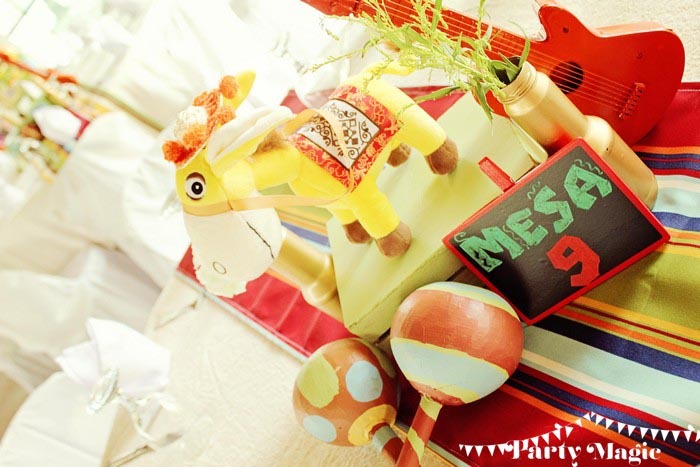 To keep to the theme and remain authentic, we decorated the tables with multicolored striped runners, Mexican maracas, miniature guitarras, and small blackboards displaying the table number, labeled as “Mesa”. 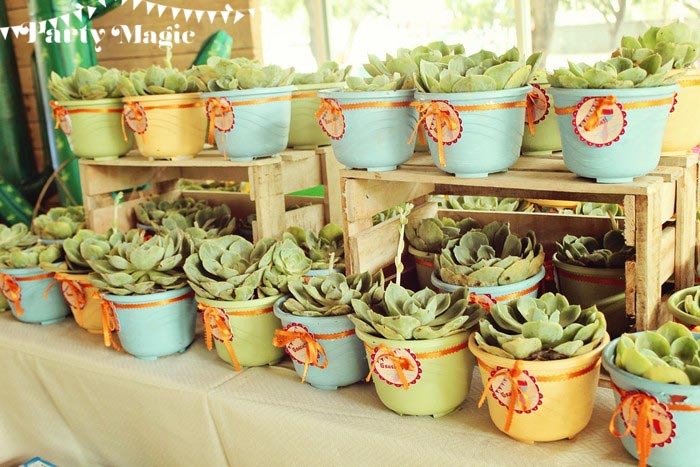 I think this is a fabulous idea as it is unique, in theme, and helps teach kids how to be responsible by taking care of a plant or living being. 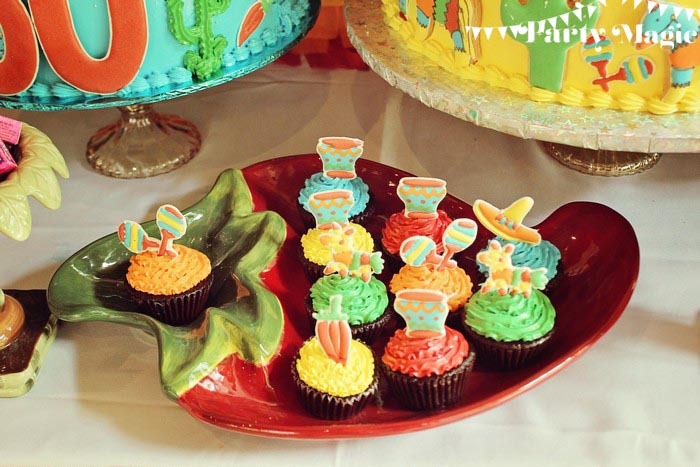 This is absolutely a fun fun fun party to style! 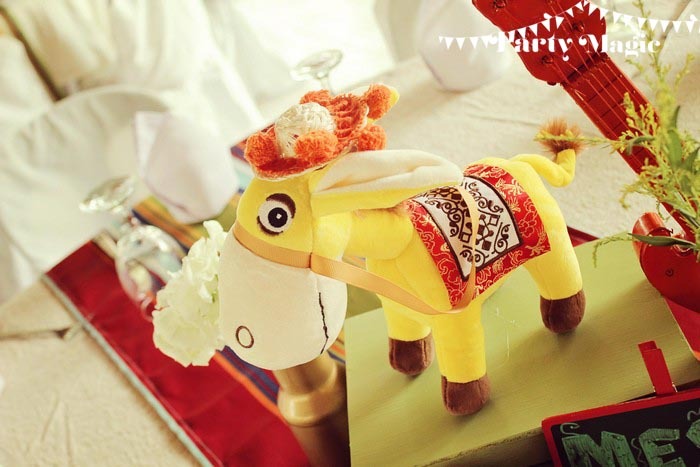 Now, it’s time to say good-bye to Mr. Donkey for now. Can anybody say “Hee-haw”? Hi just wanna inquire for the 18th birthday of my sister this coming Nov.21 can you pls.send me quotations for your packages including the venue set-up, food etc.